(Bass Builders). The low, throbbing beat of great bassists like James Jamerson, Anthony Jackson, Larry Graham, Bootsy Collins, Louis Johnson and Verdine White drove the world to the dance floor during the disco era. 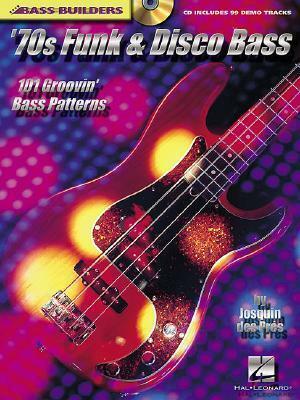 In this comprehensive Bass Builders book, renowned bassist Josquin des Pres provides 101 authentic funk and disco bass patterns to help players practice getting their groove. Includes standard notation and tab, and recordings of 99 full-demo tracks. The audio is accessed online using the unique code inside each book and can be streamed or downloaded. The audio files include PLAYBACK+, a multi-functional audio player that allows you to slow down audio without changing pitch, set loop points, change keys, and pan left or right.